Colorado’s current governor and two front-runners to replace him in November all blasted Thursday’s decision by U.S. Attorney General Jeff Sessions to reverse the Cole Memo and potentially target states like Colorado that have legalized marijuana. “It is absurd that Attorney General Sessions has broken Trump’s campaign promise and is now waging war on legal marijuana and states’ rights. 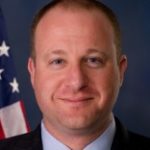 The growing Colorado economy is in jeopardy with the news that the Attorney General will now go after states that have decided to regulate marijuana,” said U.S. Rep. Jared Polis, who’s seeking the Democratic nomination to run for governor. Written by the Obama administration Justice Department in 2012, the Cole Memo directed the federal government to prioritize the illegal drug trade rather than using investigatory resources to take on the regulated legal marijuana industries in states such as Colorado — the first in the nation to legalize recreational pot sales in 2012. Polis has been a longtime advocate for the federal legalization of marijuana. Term-limited Democratic Gov. John Hickenlooper also weighed in on Sessions’ decision. 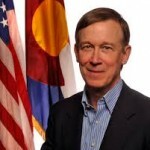 Hickenlooper reluctantly accepted the overwhelming passage of Amendment 64 in 2012, setting up the state’s vast regulatory framework that has been emulated in other states across the nation. 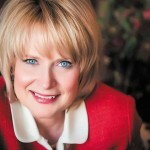 Republican Attorney General Cynthia Coffman, who’s seeking the GOP nod to run for governor, downplayed the federal regulatory move. Like Hickenlooper, Coffman also lauded the state’s regulatory framework. Coffman said the Cole Memo is still an important document.